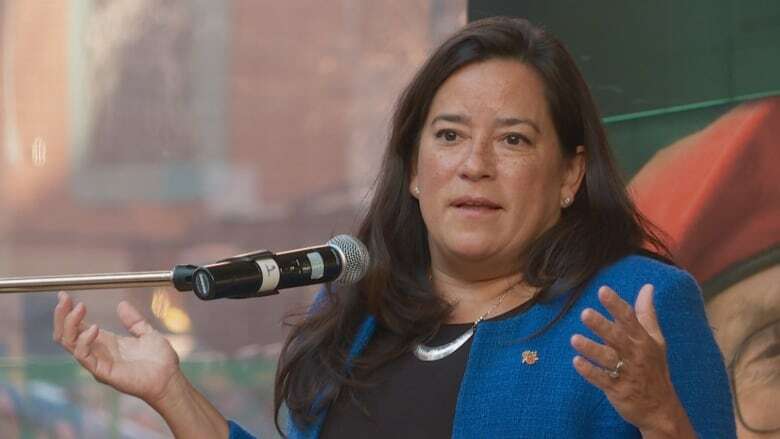 Less than three weeks after being removed as Canada's justice minister and attorney general, Jody Wilson-Raybould made her first stop on P.E.I. as veterans affairs minister. 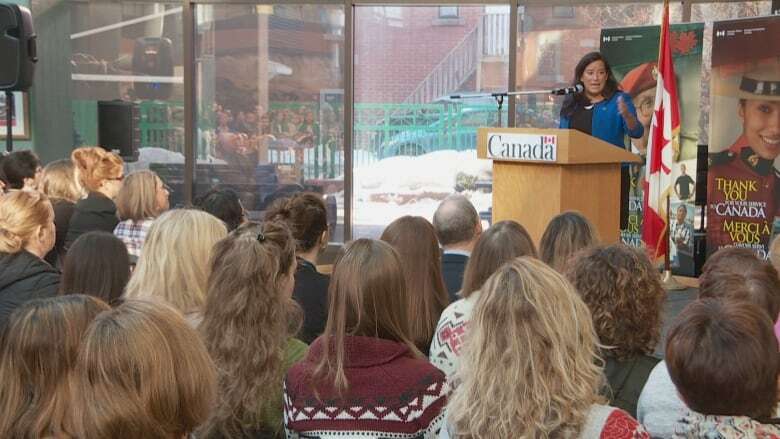 About six-hundred Veterans Affairs Canada employees packed into the department's Charlottetown headquarters Friday to hear from their new minister, who took over from Seamus O'Regan as part of a small federal cabinet shuffle in mid-January. "I wanted to get out as quickly as possible and meet with the public servants that work for Veterans Affairs, meet with veterans, and hear directly from people. And that's what we've been doing," Wilson-Raybould said. The new minister reiterated Friday she's "incredibly honoured" to be in charge of Veterans Affairs, and doesn't feel she was demoted, as many pundits suggested after the shuffle. Wilson-Raybould has much to keep her busy in the new job: a $165-million disability payment accounting blunder that's prompted a class-action lawsuit, a new lifetime pension option for injured veterans rolling out in April, and the ongoing issue of how to best support veterans suffering from PTSD and homelessness. Speaking to CBC after the meet-and-greet with VAC staff, she cautioned she's only three weeks into the new portfolio and still getting up to speed. She said her priority right now is "carrying on from where [O'Regan] left off" and hearing directly from veterans. "The openness of the individuals I've talked to about their lived experiences, about the challenges they're having around mental health and PTSD, I welcome that, and I'm amazed at how honest people are and wanting to find solutions," she said. She also said Friday that any VAC employees in Charlottetown, still working through problems with the Phoenix pay system, are on her department's radar. "What I do know is that Veterans Affairs has been working hard to ensure if there are challenges around Phoenix on individual public servants, that they're addressed as expeditiously as possible," she said. "And from what I understand, Veterans Affairs has been the leader in ensuring our public servants get paid." Wilson-Raybould won't have a lot of time to make her mark as veterans affairs minister before the next federal election. It's just eight and a half months away. "I'm an incredibly hard worker. I think there's a lot we can do," she said.